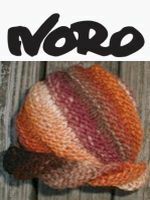 3 remaining17 designs, including several hats, scarves, and cowls for men & women, plus socks and a headband. 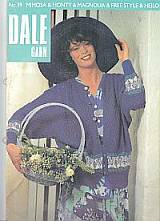 Knit or crochet in a variety of Dale Garn yarns. 6 remaining7 garments for women to knit in Alpakka, Erle and Cotinga. Includes coat, dress, turtleneck sweaters, long vest, long jacket & sweatpants. 6 remaining6 garments for boys & girls age 2 - 12 years, to knit in Alpakka and Cotinga. Includes Fana sweaters, tights, hoodie, zip-front jacket, yoked sweaters. This pattern is out of print. We can send you a printed copy of a specific design with the purchase of a yarn pac. 3 remaining12 accessory designs in a variety of Dale yarns (including discontinued yarns and yarns I don't carry).